Paintings by Frances Macdonald are in several important private collections at home and abroad as well as corporate collections including Fleming's Scottish Collection. And, when not painting, Frances helps run the Crinan Hotel masquerading under the name Ryan. Frances Macdonald exhibits at London's Portland Gallery and The Scottish Gallery in Edinburgh and a selection of Frances' paintings are on show here at the Crinan Hotel. 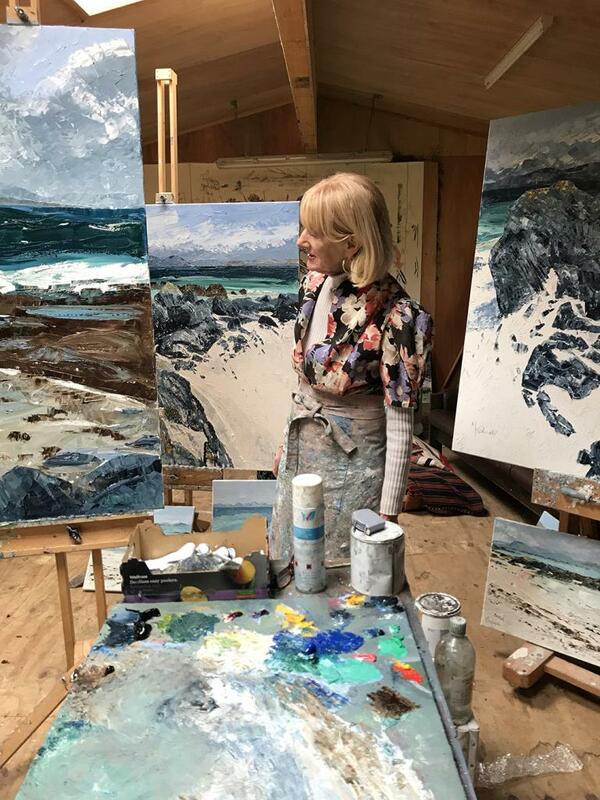 In November 2018, new work by Frances went on show in an exhibition at the Socttish Gallery in Edinburgh entitled "The Hebridean Painter". The exhibition is open to the public from 30th November to 23rd December. More information can be found on the Scottish Gallery website. Paintings by Frances Macdonald are in several important private collections at home and abroad as well as corporate collections including Fleming's Scottish Collection. Frances is represented in Scotland by The Scottish Gallery and in London by The Portland Gallery. Collectors of Frances MacDonald’s landscapes love her ability to capture the drama of coastlines in Argyll and the Western Isles. 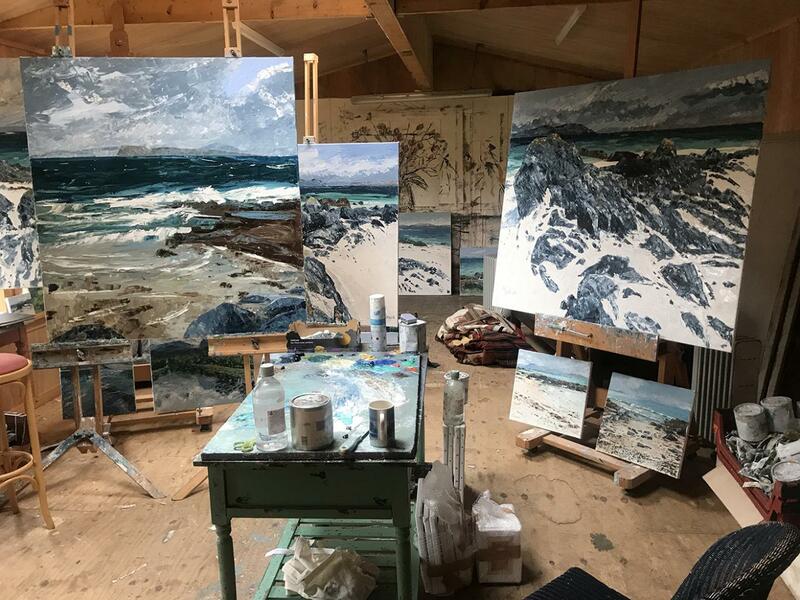 Like her increasingly successful son, Ross Ryan, MacDonald lives in Crinan, where she works in her studio beside the Crinan Hotel, which she has run with her husband, Nick Ryan, for 35 years. She is a regular exhibitor at London’s Portland Gallery and in Edinburgh.